There has been something seriously missing from our major tournaments this Australian season. And the good news is Peter Senior, the popular veteran Queenslander who remains competitive in any event he plays in, even at the age of 55, will be back in action sooner rather than later. A shoulder injury picked up off the golf course is the reason Senior has been missing from the events he loves so much – the big three of Australian golf, the Masters, Open and PGA Championships. He’s as frustrated as hell that the injury, picked up while lugging suitcases sometime during the year, is keeping him from competing. Still the good news is time will heal the injured shoulder and at this stage Senior won’t require surgery. Amazingly, this is the first time Senior has been absent from our summer of golf. “It’s not easy watching golf on TV like this when you should be playing,” said Senior. “This is the first time since the 1980s I’ve missed playing and it’s always sad to miss the big tournaments at home. 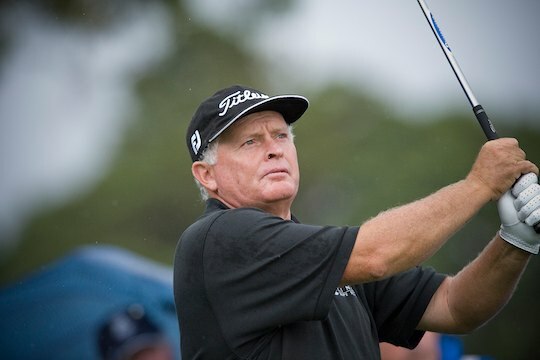 Despite remaining winless on the US Seniors’ Tour, Senior still made the top 50 cut-off needed to retain his card – finishing in an admirable 45th place. “The break is doing me good and it should freshen me up for a final few years,” he said. Not that he needs too much “freshening”, Senior has won an incredible $5 million in five seasons on the US Champions Tour.